Last Saturday the 10th May I spotted some distressed fish in the stream that runs under the road near to Copsale village Hall. I informed Andrew Churcher of Copsale Farm and he said he would phone the Environment Agency. After an hour or so he was phoned back to be told they were aware of a failure of the pumping station at Southwater the previous day. They would be unable to send anyone out to deal with the situation. I then phoned and was told something similar. I asked why they were not prepared to send out some equipment to oxygenate the river where the fish were gasping for air on the surface. I was told it was not a policy to oxygenate rivers only enclosed waters. He was aware that a slug of high Ammonia containing water would be going down stream and that it would be killing fish but there was nothing they would be able to do about it. It is cheaper to restock than to try to save them. I don’t know what the RSPCA would say about that! 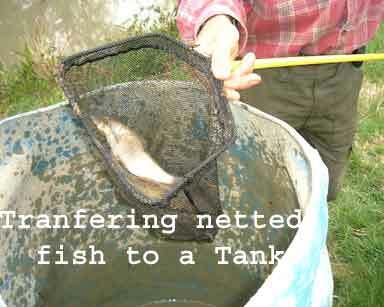 Andrew Churcher did a great job of netting many of the dying fish and was able to revive them in a tank of clean water. 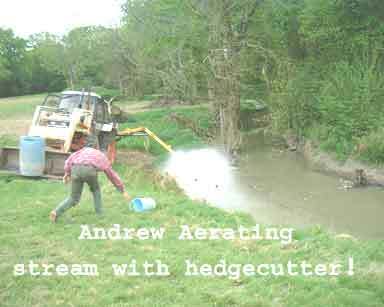 He also did an amazing improvisation in lowering his hedge cutter into the sream to oxygenate the water. 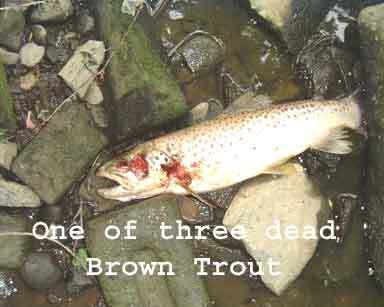 I was particularly upset to find 3 large brown trout (up to about 2 pounds) dead near the road bridge. 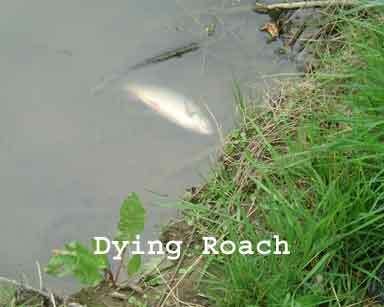 Other fish I saw dead or dying were roach, perch, eels and chub.